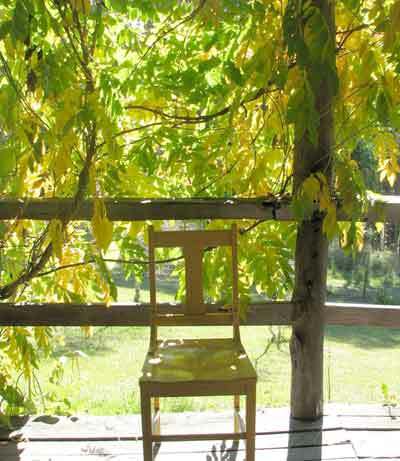 When the wisteria leaves begin to turn their beautiful clear yellow, they suddenly justify my colour choice of bright yellow for the painted wooden chairs on the verandah. It’s what I see through the window in front of my desk, so I’m very aware of the transition. 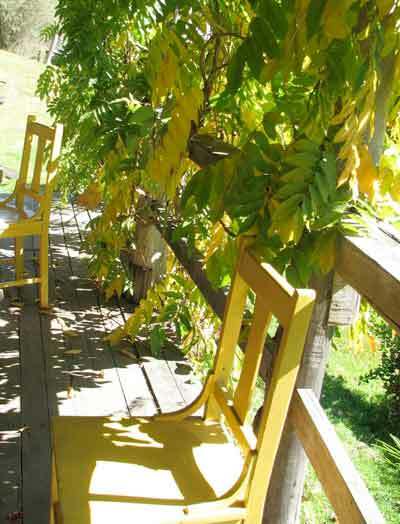 My verandah is as big as my small cabin, and its ‘decor’ and colour co-ordination is very dependent on the natural exterior world for which it is the transition zone. I just love it when they work together like this and give me such new visual pleasure for even a brief time.